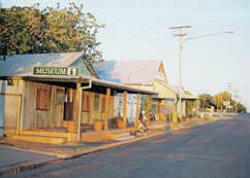 The information here commemorates Camooweal’s droving history. Walk in to the original store and museum and you’ll be taking a leap back in time to experience life in a remote community. The Camooweal Caves National Park is to the south, only experienced cavers should attempt the underground labyrinth.